Nysschen isn’t sure where that information, attributed by Reuters to unnamed sources, came from, but was adamant about the relatively new luxury sedan’s future at Cadillac. Considering that the car is the center of Cadillac’s future in the sedan realm and the test bed for its new technology, that made a lot more sense. The Reuters report stemmed from GM’s current sales struggles, with factories extending their summer shutdowns and GM’s overall U.S. inventories being at a 10-year high in June. There’s even talk of the United Automobile Workers union discussing the potential impacts the slump could have on U.S. jobs. All of the vehicles in Cadillac’s current lineup, he said, “will run through their natural life cycles” without being cut short. De Nysschen said the opposite of the Reuters report is actually true, and that Cadillac will be investing more money into the CT6 and its segment of the company’s lineup over the coming years. 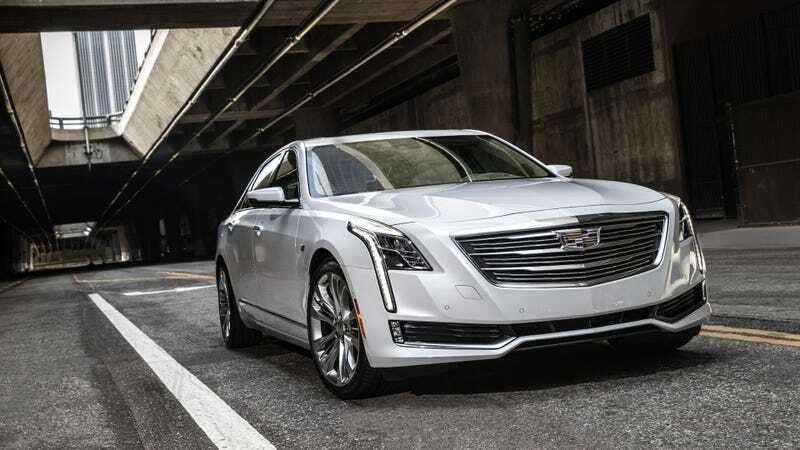 In our multiple CT6 drives, that showed—the car felt like it took Cadillac back to its roots as a luxury American sedan maker, not one trying to compete with all of the German-made cars on the market. The CT6 is also the center of Cadillac technology launches these days, including the Super Cruise technology that aims to rival Tesla’s Autopilot. De Nysschen said being the Super Cruise launch vehicle makes the CT6 a flag bearer for GM as a whole, and that it “would make no sense” to have invested all of this development into the CT6 just to cut the car two years after its launch. That, plus the car’s decent sales numbers compared to the rest of the lineup, just didn’t add up as to why it would be on the chopping block. And it’s most definitely not—de Nysschen said the company plans to expand the CT6 lineup and its role over the years. “The vehicles that are under development as you and I speak will have the net result that Cadillac ultimately will have three sedan entries, of which CT6 will be the most senior,” de Nysschen said. De Nysschen didn’t give an exact timeline for whittling down the sedan lineup, but said that once Cadillac starts the rollout of its new product portfolio at the end of next year, 2019 through 2021 will be “action packed” years.